If you feel like you react to everything you eat or take, or you can’t improve no matter what you do, you should consider the possibility of histamine intolerance and/or mast cell activation syndrome. 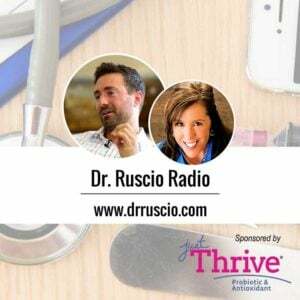 Today Dr. Jill Carnahan and I expand on how to identify histamine intolerance and/or mast cell activation syndrome and some simple steps you can take to address these issues. Dr. Michael Ruscio, DC: Hey, everyone. Welcome to Dr. Ruscio Radio. This is Dr. Ruscio. Today, I’m here with Dr. Jill Carnahan. And she’s a repeat guest. And I’m excited to dive deep into histamine intolerance and mast cell activation syndrome. Jill, welcome back. Dr. Jill Carnahan: Thank you. Good to be here. DrMR: It’s great to have you here. This is a topic that, I think, as I’m starting to look at this more and reflect on what I see in the clinic, could be one of the areas of therapy that really is responsible for some of these patients that just don’t respond fully to anything else. Get help with histamine intolerance & Mast Cell Activation Syndrome. DrMR: Agree? Okay, yeah. So we’ve had Dr. Lawrence Afrin on the podcast twice to talk about mast cell activation syndrome before. So for the audience, if you haven’t listened to either one of those, the first one was an introduction to the issue. The second one was more of a Q&A. But I guess, Jill, would you mind giving people a short synopsis on mast cell activation syndrome and how you’re looking at it? DrJC: You got it. So as you said, I think this really underlies so many of our really complex patients because it’s one of those things that we all have mast cells. And there’s something we learned about in medical school called mastocytosis. And this is actually pretty rare. It’s a disorder where people have a significant proliferation in the bone marrow of mast cells, almost like a cancer or a myeloproliferative type of thing. And so what happens with them is, of course, these large number of mast cells produce all the chemicals that they produce. But what we’re seeing now in clinical practice is a slightly different version. It’s not just a proliferation in the bone marrow. But it’s actually an activation. So I think of it as poking the bear. It’s like something out there externally or internally that changes the balance in the body, starts to poke this mast cell, and poke the immune system, and cause this activation. And that makes sense because now we have so many patients with toxic overload and chemical exposures and heavy metals and mold and also infections like viral burden or tick-borne infections like Borrelia, Bartonella, Babesia. And all these types of overloads can trigger the mast cell activation. And some of these complex patients we might treat, detox them if a toxic overload. Or we might treat the infection. But there’s some underlying process that it activated that goes haywire. And they’ll present with a myriad of symptoms all over the body. It affects literally every system in the body. And it can be very confusing for clinicians because they don’t tie together the fact that the mast cells are being activated and causing all the problems in all the different systems. DrMR: Yeah, and I think that’s a very key point because I want to try to tie the audience to, how do you know if this is you? And it’s not easy. It’s not an easy question because symptomatically this can have such a diverse confection of symptoms that could indicate. DrMR: And then see what’s left standing, that can greatly assist pushing out some of the noise that may be confounding the signal that you’re trying to read. There has been developed by Dr. Afrin a symptomatic questionnaire. And this questionnaire essentially, you have an array of different symptoms. Some of these, a patient can fill out. Other of these, a doctor would need to fill out. But even if you don’t have a doctor that you’re working with, you could go through this self assessment and look at your score and essentially, depending on how you tally, I believe it’s between 8 to 14 points is suggestive. And over 14 points is highly suggestive. Then that can be something that can be helpful in dictating or giving a predictive probability of if mast cell activation syndrome is present. And I’ve been using this just for a little while now in the clinic. But it is nice to have some type of quantitative symptomatic assessment that can at least help give me an initial clue as to whether or not this is where we need to go. Jill, is there anything that you’re using that’s a helpful, simple tool to at least give you an inkling if this is something you should look more deeply into? DrJC: So first of all, I love that. And I love Dr. Afrin’s work and Dr. Theoharides. They’re two of my heroes in this area. I didn’t know there was a questionnaire. I know that it’s funny because cognitive symptoms are actually the largest percentage of symptoms that we see with mast cell. And we typically think of skin and hives. But I don’t think a lot of clinicians or even patients realize that brain fog and cognition are in the top tier of the things that we see. So that’s a big red flag because brain fog can go with a lot of things. But if it doesn’t clear up with the treatments—like you said, treating the gut, treating toxic load—that could be a big one. And then skin is a huge organ that has a lot of mast cells. So in my mind, that’s one of the second tiers. Rashes, hives, and those kinds of skin reactions, any sort of swelling, flushing, edema are all common. And they’re all in the dermal system. And then the gut is pretty profoundly affected. So people could have nausea, heartburn, vomiting, abdominal pain, diarrhea. The lungs are affected. It can be shortness of breath. And the heart can be tachycardia or palpitations. And then like I mentioned, the brain fog. But you can also have headaches and low blood pressure. So systemic hypotension or orthostatic hypotension is common. A whole other class of patients we see with this is POTs. The postural orthostatic tachycardia patients often have a comorbid condition with mast cell activation. DrMR: Would you say that someone who is hyperreactive to supplements is also a fairly high indicator in your mind? DrJC: It absolutely could be. So I would say it overlaps for sure. It’s not everyone who is hyperreactive. DrJC: But when I think about multiple chemical sensitivity, which tends to be those people who are super reactive to everything, that to me tells me their toxic bucket is full. So they’re totally overloaded. And then with mast cells, the toxic overload is part of the picture or can be a trigger. But there’s definitely overlap. But I wouldn’t say that everybody who is sensitive is mast cell activation. DrMR: Sure. Sure. Yep, and I would agree with that because sometimes it may be just improving their diet, improving their gut health, and they become less reactive. So I concur with you there. DrMR: Now, like many things in functional medicine, the testing is not always easy. And I have a thought on this. And I’d be curious to see what you’re thinking is relative to this, Jill. Because from what I’ve read the testing is complicated (meaning you may have to go to three or four labs), not guaranteed to be covered by insurance (meaning you may have to spend $3000, $4000, $5000), and is very sensitive (some samples have very rigorous requirements in terms of handling and refrigeration)—because of all those factors, my thinking is I don’t want to muddle with the testing even though I know the markers and I know where you can get them. My thinking is if we’re really trying to test for mast cell activation syndrome, I would rather have someone test with a specialist just because there are nuances here. And I would hate to mishandle a nuance and have had someone go to a few different labs, do a few different blood draws, and spend a few thousand dollars only to learn that there was some collection error that I was unaware of or some methodological limitation that the lab was doing that I didn’t know about. So would you say I’m being overly cautious there? Would you agree with that? Would you modify that? DrJC: No, I completely agree. So these are, many of them, really difficult. And I do really crazy lab tests already. And I find these to be some of the toughest to do. What I do is often, if I just suspect it, I will do a plasma histamine and a serum tryptase because those are easy to get. They’re not very sensitive. So it doesn’t mean if they’re negative the patient doesn’t have a disorder. But in the one in 10 or 20 that are positive, then I’m like, “Okay. I’m dealing with a mast cell disorder.” And those two are easy for me to draw. But all the rest, I completely agree. We have some mast cell specialists in our area. And I will send them for a full workup with someone who really does this as their exclusive expertise. DrMR: Gotcha. Okay, good. I’m glad that we’re in agreement there because we’re all trying to help people, of course. But I do think it’s good to know when you’ve exhausted the boundary of your specialty and get people to the person who can best help them. And for the clinicians listening, this can be a very freeing experience because when you’re getting in over your head, it’s not a good feeling. It’s certainly not something I enjoy. So the other thing I’d like to touch on now—and I’m sorry. I do want to ask you who you refer to. And for the audience, we’ll come back to that later in terms of referrals, in case you’re wondering who you can see. But the way I’m looking at this, Jill, now—and again, I’m very curious to get your thoughts—is on a spectrum where we have some therapies or some level of manifestation that may denote histamine intolerance or histamine sensitivity. And then as you keep sliding down that spectrum, then we get into this realm of mast cell activation syndrome. And this is more so just my thinking on it. I can’t say there’s anything published that’s been delineating this. But some patients, for example, you undergo simple strategies for histamine reduction. And all of their symptoms that could have been mast cell activation syndrome symptoms go away. But then, there are other patients where you do everything that you can do. And those symptoms are still present. And they only respond to something like loratadine or Cetirizine, these over-the-counter antihistamines. And so now, that’s making me think this is more of a mast cell issue. So are you seeing this sliding scale where some people who initially come in and you think they may be MCAS? When you, for example, nail some gut therapies, their symptoms greatly improve. DrJC: Yeah, so again, we think a lot alike because I completely agree. And what I see is there’s other exogenous production of histamine. So for example, if you have the certain type of small intestinal bacteria, they can produce excess histamine. So getting rid of the SIBO might be their cause. You can have someone who has poor methylation. So they maybe have MTHFR or other genetics that impair methylation which is part of the process that breaks down histamine. So they eat too many histamine foods, then they can’t tolerate it. So again, there’s that threshold of, how much internal and external histamine can they tolerate? And can you do modifiable things like clean up their gut or clean up their diet to decrease the histamine load? And then that person does fine with a regular low histamine diet or cleaner gut. But there are people who, these mast cells are super, super reactive, producing more than anybody could handle. And then they typically do need some sort of antihistamine or intervention mast cell stabilization to control their symptoms. DrMR: Yep, okay. Yeah, so we agree yet again. And now, what I’d like to do is maybe talk through—and I was trying, before we got on the call, to organize levels of treatment because, again, knowing that if you’re a clinician trying to help your patients with this and you’re new to it or if you’re a patient trying to suss this out on your own, I think having a hierarchy can be very helpful to know what to do when. And I’ve jotted down here about a five level system. Let me just throw this out. And we can work through it and modify it. But this is just a rough thinking here. Level one could be diet. I think an elimination diet could be helpful, a low FODMAP diet, or a low histamine diet. Level two, we can start supporting the gut. And I think probiotics are a very good, safe place to start for gut support. But we may have to go further with gut support. And this is where a level three intervention could come in. And this could be something like herbal antimicrobial therapy for, as you mentioned, Jill, SIBO or Candida or just presumed dysbiosis. And for other people, they may need to go even farther and use something like an elemental diet. And I’d be very curious to get your thoughts on that in a second, Jill, in terms of an elemental diet. I find for some people that can be a really cathartic, a real win when nothing else has helped. And usually these people are responding all along the way. But level four, we may need to use a little bit of gut support like glutamine or aminolin which is a gut healing peptide. This is when I think about vitamin C and natural antihistamines. You could offer them earlier. I just like focusing on the gut as a dehistamine agent first and then considering these things as a later add on. And this is where we might start experimenting with over-the-counter antihistamines, double checking for environmental exposure. And then level five would be considering a referral to a mast cell activation specialist. And again, that’s a rough hierarchy. And I know I just dumped a lot on the plate there, Jill. But anything that you’d like to dig into there or modify or offer thoughts on? DrJC: Ah, I love that. And I love how much your first few tiers really focus on the gut because I think that’s huge. A lot of people don’t know, even clinicians, that certain probiotics actually increase histamine. And others lower. And I’ve found that Lactobacillus rhamnosus and Bifido species tend to lower or at least be neutral with histamine. But things like Lactobacillus casei may raise histamine. 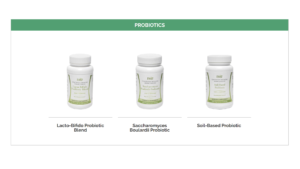 It really does matter what types of probiotics you use. And for those patients who don’t have tolerance to Lactobacillus, which some of them have lactic acid-producing bacteria—they just don’t do well—they do well with a spore-forming probiotic. So if all else fails in probiotic world on one of my tough guts, I like the spore formers because they are really, really stable. And they do well with SIBO. They do well with people who don’t tolerate other probiotics. And they do not cause increased histamine. I’m a really big fan of those in these tough cases. You mentioned elemental diets. Love that! And I did some cases with inflammatory bowel disease. And some of the best resolution with both Crohn’s and colitis, tough cases, and SIBO and IBS is with elemental diets. And I think they say 80 to 90% eradication with the elemental. And it’s hard. So for those who are listening who don’t know, an elemental diet is literally a broken down, amino acid-based food, like your Nutramigen for babies that can’t tolerate formula. This is for adults. And it’s very similar to an elemental, broken down so that the bacteria have nothing to feed on when you give this food. And that’s literally the only thing you eat for two weeks or more. But the upside is it completely can eradicate the small intestinal bacterial overgrowth and even symptoms of Crohn’s and colitis. DrMR: Yeah, I’ve found the elemental diets to be very helpful. And something I should mention for the audience because I’ve noticed so many patients come thinking that the elemental diets all taste horrid. And yes, some do. But there’s a newer generation of elemental diets that are actually quite palatable. And some of these are elemental. And others are actually technically semi-elemental. I don’t think it makes a big difference. And I think the majority of the literature supports that you can see improvements either with a semi-elemental or a fully elemental formula. All that dictates the elemental versus semi-elemental is just the level of digestion of mainly the protein molecules. There’s Physician’s Elemental by Integrative Therapeutics which is helpful. I like that formula. It’s palatable. And we also have a formula that we’ve released called Elemental Heal which is a semi-elemental formula. And that’s also very palatable. The other thing I just want to remind people of is that if you can’t do the elemental diet for two weeks, I’ve also seen people who experiment with shorter stents of maybe two to four days and then used it as a meal replacement for one meal in a day. It’s also enough to take an edge off and lead to some symptomatic improvement. And I just mention that because some patients build it up in their minds to be all or none. And it doesn’t necessarily have to be. Jill, I’m not sure if you would agree with that or not. But that’s certainly something that I’ve seen. DrJC: Yeah, so I think it’s like the whole spectrum of severity, like we’re talking about, kind of like your IBS and gassy, bloated—perfect. I think ones like Crohn’s and colitis, I would probably have them really do a significant case. But those are the tougher cases anyway. DrMR: Sure. I think that’s a great point. If someone is coming in with an active flare of Crohn’s, then yeah, we probably want to shoot for that full two weeks. Agreed. DrJC: You mentioned some of the natural antihistamines. I might start at least quercetin and vitamin C pretty soon in your tier because I find those to be just so safe. And almost no one ever reacts. And so in some ways, they might have a benefit pretty quickly, even in the early tiers with quercetin and vitamin C.
DrMR: Question about vitamin C. I’ve recently come across a timed-release vitamin C. And why this has appeal to me is because there’s—at least in my experience, and some of this has been published—the observation that people with histamine intolerance tend toward diarrhea rather than constipation. And knowing that vitamin C is a laxative, sometimes you come to this rate limiting effect of only being able to have so much vitamin C due to the laxation effect. And I’ve just come across that. I haven’t been using it yet. But I’m hoping that the timed-release vitamin C won’t be as prone to causing the diarrheal response. It might allow for a higher dose. But do you have any experience there? DrJC: I don’t. But I love that idea. I completely agree with you. So some people I’d love to have on 4 or 5g. And there’s just no way they could take them. DrMR: Right. Right. Well, I’ll be doing some experimentation. I’m actually going to run the experiment on myself. So hopefully, it won’t be an explosive lesson here! But I’m curious to see. And yeah, I agree. I think you could make a case for the natural antihistamines a little bit earlier in the protocol, just depending on the person. And then with the H1, H2 blockers, are you using, I guess you could call it, the Lawrence-Afrin protocol where he recommends trying to find one H1 blocker and one H2 blocker that work well for someone as a foundational over-the-counter medication therapy? DrJC: I do. I almost always try those two because they’re so easy. They’re relatively inexpensive. And gosh! I don’t love the side effects. But I also feel like in comparison to the symptoms of MCAS, they’re pretty benign. I’m also jumping pretty quickly to some of the mast cell stabilizers because I find they’re really powerful. So two of my favorites are cromolyn and Ketotifen. And I use those a lot because if someone has food-related activation, the cromolyn really blocks that meal-related activation. And the Ketotifen can be compounded anywhere from 0.5 to 5 mg three times a day and is really effective, probably the most effective mast cell stabilizer. DrMR: Yeah, let’s talk more about that because one of the things I was really hoping to pick your brain on today was what are some of the medications that you may use as a bridge in between you and deciding to refer to a mast cell activation specialist. And those were the two first ones I actually wanted to ask you about. So can you explain a little bit more about those medications, how you use them, if there’s a certain patient profile that may dictate one compared to the other, and what the dosing that you’re typically using is? DrJC: You got it. So cromolyn you can get as Gastrocrom, as a prescription conventionally. It’s actually pretty well tolerated. It’s really expensive. And it comes in ampules. They’re usually 100 unit ampules. And they could take one or two with meals and before bed, so up to four times a day. The problem is there is some resistance or tolerance, I should say. And so they do tend to, if it really works, require higher and higher doses. And the problem is it’s quite expensive. That’s commercial Gastrocrom. You can compound cromolyn in capsules or other methods. It’s still expensive. But you could compound it at a higher dose. And really the cost is a rate-limiting thing. This is the kind of thing I would use for someone who has meal time, significant reactions, those patients who say, “If I could just stop eating, I’d feel fine.” But they have this massive problem when they eat. And they’re probably experiencing massive intestinal permeability as well. So you and I would treat the gut, too. Literally, I had a really sad case of a patient who came to me way too late in the course of her tick-borne illness. And severe malabsorption, severe MCAS. She passed away several months ago because she couldn’t keep down any food. This is so serious. And she was in her 20s, someone who should not have experienced that. And it was literally the mast cell activation was such an extent that she could not tolerate anything orally. And she literally died of malnutrition. And it’s so sad. But that’s the kind of case maybe a year or two, if I would have seen her earlier, the cromolyn might have helped her tolerate food. So in those severe cases, it can be a lifesaver. DrMR: And are you cycling? Let’s say you find—I’m just envisioning as you say this—where maybe someone could cycle on and off another therapeutic. Maybe you have them do what’s known as a hybrid approach where they consume half their calories in a day from an elemental diet and the other half from whole foods. Maybe they could cycle onto that for a couple weeks when they’re cycling off the Gastrocrom to help rebuild tolerance. Are you ever doing any kind of cycling on and off for that? DrJC: I love that. And I definitely have used it in some of the elemental diets and formulas as either a meal replacement or when they can barely tolerate anything, that’s a great, great point because adding in that can be something that bridges them and gives them caloric nutrition that they need in the meantime. DrMR: Okay. And so you do notice that if people take some time off it, will they see a resensitization to the drug? DrJC: That’s a good question. I’ve had mixed with that. I’ve had a few people go off, and it seems to be just as effective when they go back on. I’ve had a lot of people who go off who still need higher doses for effectiveness. DrJC: But I wouldn’t say always the drug reset improves the tolerance. I don’t think that always is the case. DrMR: Gotcha. Gotcha. And the Ketotifen, were there any pearls of wisdom? DrJC: I love this because it’s really well tolerated. So we’re talking about histamine blockers. But we’re not really talking about mast cell stabilizers. And of course, there’s some activity with montelukast which is a leukotriene inhibitor. But it’s just not as powerful for the mast cell stabilization. So the Ketotifen is one of the few ones that actually have that activity. And some of it is really severe patients. This is more systemic. It’s not with mealtime. And the difficulty is we don’t really know for sure dose ideally. I start anywhere from 0.5 mg up to 5 mg—so it’s a 10-fold change in dose—three times a day. And usually, I start them at 0.5 to 1 mg. And if they start to see some improvement, they can increase the dose to where they feel the most benefit. So there’s a wide range of dosages that can be used. And this can be incredibly helpful. DrMR: And you said you start them at—I’m sorry. Was it 0.1, or was it 1 mg? DrMR: 0.5. Sorry. I misheard you. Okay. DrJC: That’s okay. 0.5 to 1 mg. And then work up to up to 5 mg three times a day. DrMR: And is there a cadence at which you will increase the dose? DrJC: I have them try a half milligram to make sure—if they’re super sensitive, we’re dealing with that population. So that’s why I’m starting so low dose. If they’re pretty stable, I might start at a milligram and then maybe every couple weeks increase by a milligram. DrMR: Gotcha. And again, this is more for systemic manifestations or other symptoms, whereas the Gastrocrom was more for GI. DrJC: Exactly. Exactly. And I would say your POTs person would be systemic, pretty severe sometimes. I would try to Ketotifen in someone with POTs. DrMR: Gotcha. Gotcha. Okay. And were there any other drugs that you like? I’ve heard some noise about I believe it’s pronounced Ebastine. Or I may be butchering that. Does that ring a bell? DrJC: Oh, I haven’t used that. That would be great. DrMR: Are there any other medications that you find to be fairly helpful? DrJC: Especially for the skin component and pruritis, I’ve had a few people who literally cannot sleep because of the pruritis or itching. So the old hydroxyzine is amazing for calming the pruritis and itching. So it’s an old, same family as Benadryl. But I’ve found it’s very sedating. So you take it at night. But it’s incredibly effective for that itching and skin reaction. So I really like the hydroxyzine for that. DrMR: Gotcha. Okay. Have you experimented with all or heard anything about helminth therapy as a way of potentially managing this immune component of histamine and mast cell activation? DrJC: I just listened to a recording the other day about one of our colleagues. They say the same thing about helminth therapy. Now, he’s having great success. I haven’t used it in clinical practice. Years ago, probably a decade ago when I practiced with a medical center in Illinois, we used some pig whipworm in a couple of Crohn’s patients. We actually did a small study. And it was pretty effective. But obviously, that has that effect. So this is this immune over activation, too. And I would guess it would have a pretty profound effect. But I haven’t used it in my practice. DrMR: I’ve had a handful of patients who have been experimenting. And it’s too early for me to say. And I think one of the important observations for me to factor into what I’m seeing is I’m reserving this for more of an end-phase therapy. So there’s this, I guess you would call it, a negative selection bias where only the most challenging cases are getting the therapy. And so that’s probably under appreciating the potential effect of it. But I’m curious to see what effect this may have as they continue. And I know when Nancy O’Hara was on the podcast, she commented that for children with autistic manifestation, she was seeing about a 50% response rate. Now, these are different syndromes, of course. But that really piqued my curiosity. DrMR: So I think the jury is probably still out on this. But I’m excited to see what the wormy world of helminths may have in store for us. DrJC: I love that. And I think there’s great potential. Totally agree with you. DrMR: Who are you referring to for this? Because I’m sure clinicians are probably, the more they become aware of this, the progressively they’re thinking about, “Well, who do I send to?” And Lawrence Afrin has his group. But yeah, who do you like? DrJC: Yeah, I’ve always had great respect for Lawrence Afrin. And I’ve had several patients I’ve referred or we’ve had in common. And then Theo Theoharides over on the east coast. He’s up near Boston. I’m might be quoting that wrong. Amazing! And I’ve spoken to him several times and shared some patients. And I think he is taking referrals. Those are the two experts that I know of. But they have the published literature out there. We do have a local immune center where there’s an immunologist I’ll refer. And then we have a local allergist. And both of them are just a little bit like me in the trenches. But they’re more in the allergy and immunology field. And I actually press them for, like you said, the testing. They will do the testing. DrMR: And are you finding that insurance coverage here is generally good? Or is it sparse? DrJC: Well, I do a cash practice. And so when I’m doing a workup for people who come in, I do a lot of lab testing. And it’s pretty extensive. But it’s only because they’ve waited. And they’ve been everywhere. And they want answers. And the stuff I do through insurance is decently well covered. And this could be mold labs, which we’ve talked about before, or these histamine types of labs. And they’re all in the same boat. DrMR: Gotcha. Gotcha. And I’m sorry. There’s one other thing I forgot to mention in the hierarchy. And I think when you look at this depends on the history of the individual. But it is looking at their environment. And then there have been a couple of cases where either mold or allergens to pets have been causing these histamine/mast cell-like symptoms. And getting rid of that was really a significant key to their healing. And I’m sure with all your specialization in environment, you would strongly agree with that. All right, guys. Well, I think Jill’s connection dropped out on us, which doesn’t happen often. But fortunately, we got through the brunt of the interview. The last thing I was going to ask Jill was where people can track her down or connect with her. And she has a website and a newsletter. I would recommend checking out her work. She’s got some really great stuff. Dr. Jill Carnahan. And that will conclude our abrupt ending to a follow up on histamine intolerance and mast cell activation syndrome. I hope you guys enjoyed. Okay. See you next time. Bye-bye. I’ve Been Exposed to Mold – Now What? The mast cell stabiliser ketotifen decreases visceral hypersensitivity and improves intestinal symptoms in patients with irritable bowel syndrome. been listening to your podcast and following your advice now I have your book which will help me reference any unresolved gut issues. I am beginning to to wonder if I have been misdiagnosed with Sjogren’s syndrome. I appreciate your podcast and I also appreciate very much the book youwrote which is a tremendous help. Thank you. Thank you for this interview! Is MCAS something that is triggered by an event (like a TBI), or can it be genetic? I believe I have it, have had it since I was a child, and my children also have some symptoms that make me wonder, but my symptoms became truly full blown after a TBI. One of the symptoms on Dr Afrin’s symptom list (that you linked) is an increase of symptoms after fasting over 24 hours. Do you know why that would be? Because this happens to me and I would like to understand why. Does this correlate at all with cholinergic urticaria? I think i have cholinergic urticaria there are tiny wheals or raised welts all over my skin. I am black so i dont notice flushing but i am sure that happens as well. I have tried many things got some results but condition always regressed after a while. I also have serious gut issues. I can’t eat anything and have a healthy bowel movement, i almost never, my libido is non existent, my nose has been blocked now for 8+ months, i dont sleep well, obviously head aches and joint pains and weight gain. I am literally desperate at the moment. The NHS does not seem to know what to do or how to help me. They just prescribe me some random drug or tell me it is all in my head. I am currently on 180mg of fexofenadine 4 times a day and propranolol 10mg 3 times a day. They made a huge difference to some symptoms initially but now im back to square one. My gut has also become so bad that i am now afraid to eat anything. Ive not eating anything for 4 days now as eating food makes me itch. I am desperate for help Dr Ruscio and would like to become your patient. I am only 21 and dont think i can live like this. How can i become your patient please. I have been diagnosed with MCAS. I have always wondered why I felt worse on probiotics! Dr. Carnahan’s explanation is a revelation to me. Could you point listeners to a spore-forming probiotic? Is there a common one used in your practice? I obviously want to ensure I’m avoiding anything histamine inducing. I have experienced great relief of symptoms through taking a 24 hour antihistamine, Chromoline, 3 x’s daily with meals, and having heavy metal detox IV treatment, plus I take VIP compounded nasal spray 4 x’s daily for brain fog. It has been an exhausting search for answers. Also been diagnosed with Ehlers Donlos Syndrome and POTS. Have MTHR genetic markers. So talk helpful and gave me some new information to think about. I see Dr. Mary Ackereley in Tucson for CIRS and Dr. Casper in Phoenix for Mast Cell. God Bless all you doctors who listen and think outside the box. I have a much improved quality of life. Pse give me an example of a spore forming probiotic ?